Dow vaulted 394 closing at the highs, advancers over decliners 7-1 & NAZ climbed 107. The MLP index rose 2 to the 254s & the REIT index gained 6 to the 312s. Junk bond funds were higher & Treasuries rallied, taking the yield on the 10 year bond down to 2.93%. Oil had a good advance but below the AM highs & gold edged higher. Chevron, a Dow stock, is the first super-major oil producer to report Q4 results, & posted its first loss since 2002. It's bracing for a review of its credit rating. A glut of crude from the Persian Gulf and North American shale fields has collapsed prices, forcing the company to write down the value of its fields. Despite the red ink, CVX still plans to pay $2B in divs in about 6 weeks to fulfill a promise to protect payouts at all costs. The company probably will cut spending on new projects for a 4th consecutive year in 2017 to as little as ½ the $42B it spent in 2013. The Q4 net loss was 31¢ per share, compared EPS of $1.85 a year earlier. The loss was worse than any analyst predicted. 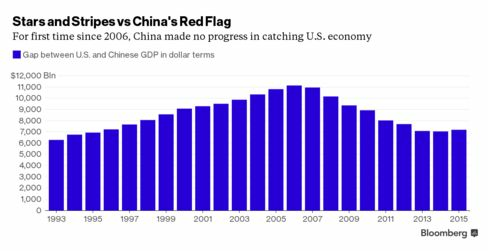 For the first time in almost a decade, China has lost ground in catching up with the US economy, when output is measured in dollars. US GDP increased $590B in 2015 from a year earlier. China's economy, while reporting 6.9% growth for the year, added $439B, as a weaker yuan sapped the value of output gains in dollar terms. Last year was the first time since 2006 that China made no progress in closing the gap with the world's largest economy. While the US economy expanded 2.4% for a 2nd straight year, China slowed to the weakest expansion pace in a qtr-century as old growth drivers like heavy industry & exports slow. As for 2016, China's economy is forecast to expand 6.5% in real terms, while the yuan is projected to depreciate to 6.79 against the $, down more than 7% from the average level in 2015.
Business activity across the Midwest rebounded in Jan as producers saw a sharp increase in orders, adding to hopes that the US economy claws back in Q1 after an anemic end to last year. The Chicago Business Barometer, also known as the Chicago PMI, jumped to 55.6 from 42.9 in Dec, marking the best clip of growth in a year. Readings above 50 represent expansion. Economists anticipated a much smaller improvement to 46.0. A surge in new orders boosted activity in the region, with a gauge of new business rising more than 20 points to 58.8, the best in 12 months. Production, meanwhile, moved back to positive territory. Though the report was much stronger than expected, Philip Uglow, chief economist of MNI Indicators, the compiler of the report, expressed caution. 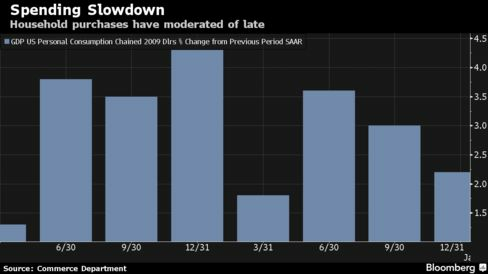 "Previously, surges of such magnitude have not been maintained so we would expect to see some easing in February," he said. "Still, even if activity does moderate somewhat next month," he added, "the latest increase supports the view that GDP will bounce back in Q1 following the expected slowdown in Q4." The Bank of Japan unexpectedly adopted a negative interest rate policy today which brought out buyers for stocks. The economy has been troubled, but it may take more than this move for a cure. Meanwhile, the US economy is having a difficult time advancing, demonstrated by disappointing GDP data. Following today's rise, Dow is still down almost 1K in Jan making for one ugly month. Treasuries are attracting buyers with the yield on the 10 year bond at the lowest since May (negative bets on the stock market). The strength of today's rally without fundamental support is a big worry!! Dow gained 175, advancers over decliners almost 6-1 & NAZ advanced 32. The MLP index rose 7+ to 260 & the REIT index added 1+ to 308. Junk bond funds climbed higher & Treasuries also are being up. Oil shot up to the 34s & gold is flattish in the low 1100s. The US economy expanded at a slower pace in Q4 as households tempered spending & businesses cut back on capital investment & adjusted inventories. GDP rose at a 0.7% annualized rate after a 2% gain in Q3, according to the Commerce Dept. The advance was in line with the forecast of 0.8%. Growth has downshifted as producers contend with slowing markets abroad, the negative effect on exports from a stronger $ & plunging oil prices that have caused drilling firms to retrench. Consumers, enjoying the fruits of a robust labor market and cheaper fuel bills, will have to pick up the slack if growth is expected to get back on track. GDP expanded 2.4% for a 2nd straight year, led by the biggest gain in consumer spending in a decade. 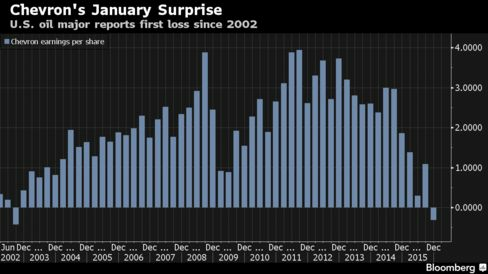 The economy got off to a rocky start in 2015, partly due to bad winter weather & a West Coast port workers dispute, before rebounding in Q2. Growth moderated in the ensuing months as companies worked down bloated stockpiles & continued to battle weak exports markets. Household purchases rose at a 2.2% annualized pace in Q4, compared with a 3% rate in the previous period. Personal consumption added 1.46 percentage points to growth. Final sales to domestic purchasers, or GDP excluding trade & inventories, climbed at an inflation-adjusted 1.6% annualized rate, compared with a 2.9% pace in the previous 3 months. A pickup in household purchases will be needed to help the economy fight through the negative effects of the global slowdown & the rout in commodities that’s diminishing investment. While businesses are struggling, American households have plenty of ammunition to assist the economy. Consumer confidence levels have held in, powered by solid gains in the job market & low inflation. Steel mills in China reported their first annual decline in output since 1981 as local demand contracted, prices sank to a record low & producers struggled with overcapacity. The China Iron & Steel Association said crude steel output shrank 2.3% to 803.8M metric tons. In recent years China has churned out about ½ the world's steel. Consumer sentiment of the US economy dipped this month, a sign that global turmoil may be starting to wear on American consumers. The University of Michigan's final consumer index for Jan fell to 92 from 93.3 recorded earlier this month. The final Jan result was a decrease from Dec, when the index hit 92.6. Analysts had expected a reading of 93. Stocks are being big higher to close out a very drab month. After today's rise, the Dow is still down a massive 1.2K in Jan. Economic data keeps coming in glum while oil is well off its recent lows in the mid 20s. Treasuries rose today, indicating this rally may have more to do with traders evening out month end positions.